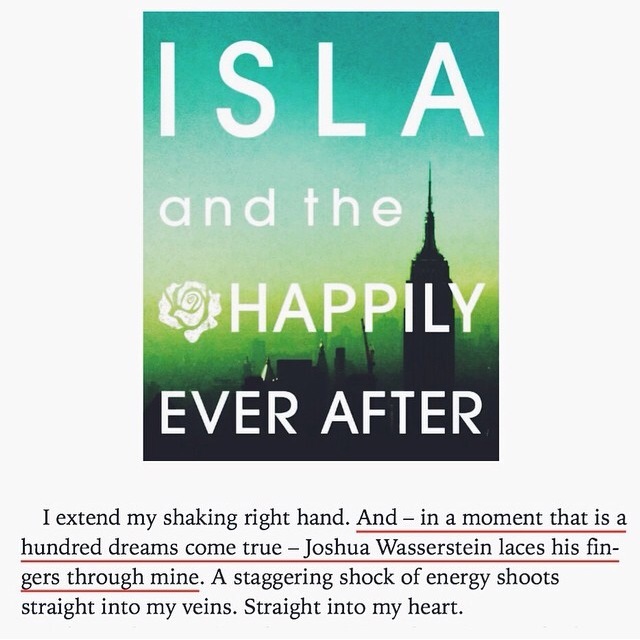 I’ve waited for this cause I was kind of checking out Josh Wasserstein (if it’s possible to check out fictional boys) since reading Anna and the French Kiss. Sorry, Ètienne, but it’s true. Josh’s ink-stained fingers has always been more intriguing for me. (But Cricket! I still have a tad bit of affection for the boy who sits on his window pane, long legs hanging out, talking about the moon and the stars.) But Josh’s game, hands down, beats St. Clair and Cricket.